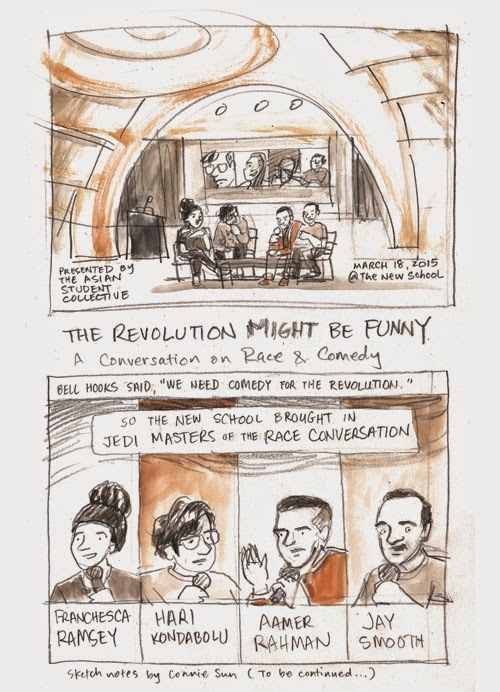 More sketch notes from an epic panel discussion on March 18th at the New School, hosted by the Asian Student Collective, on the topic of race and comedy. 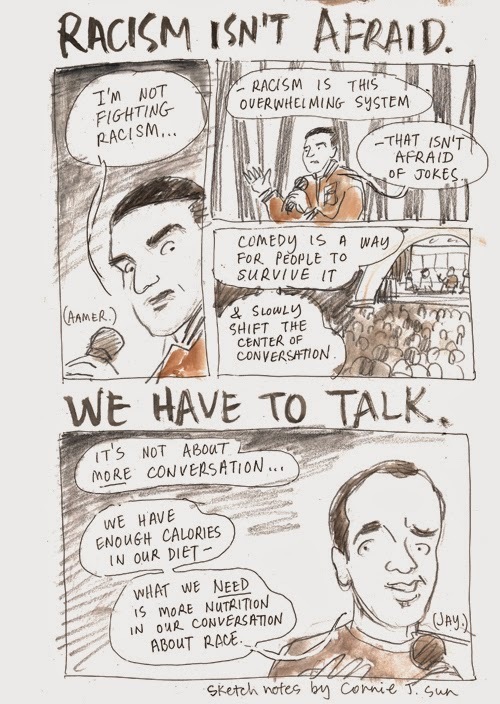 Featuring comedians Hari Kondabolu, Aamer Rahman and Franchesca Ramsey, moderated by Jay Smooth. 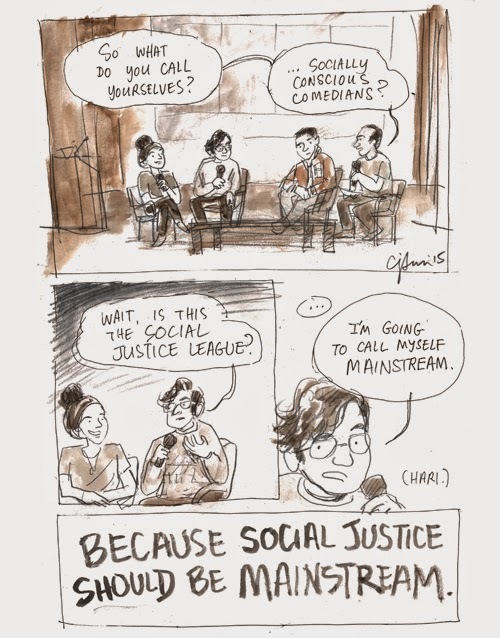 The courage it takes to talk about social justice AND do comedy blows my mind. You are beacons for me. Special thanks to Jiun Kwon for letting me attend the sold out event!